If you’re a wheelchair user, you know how difficult it can be to find a bag which easily stowed and accessible. 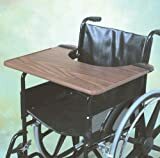 Wheelchair backpacks have been specifically designed to use with your chair but most of them are boring, bulky and look like they were made in the 1970s. It’s a sad truth but the area of the market which deals with wheelchair accessories is very small and the range of wheelchair backpacks is not very stylish. Need a Wheelchair Backpacks – try a Trabasack. Trabasack have created a fantastic alternative to standard wheelchair backpacks which are functional and smart enough to win a Style Award. 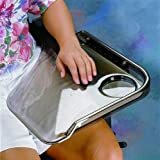 As well as acting as a practical wheelchair backpack in which you can fit in all your essentials, it can also be used an innovative lap tray, for eating, drinking or laptops. There are many occasions where you find you need a surface to write on, hold your drink, or occasions where you cannot find an accessible table or one at the right height to get under. These are problems that wheelchair users encounter on a daily basis. The Trabasack has a fantastic tray surface which lets you do any of the things you need. Your multifunctional bag can be easily placed on your lap, the soft bean bag cushion makes it comfortable so there is no danger of pressure marks or sores. You then have a surface right there in front of you, to use for anything you want. “Connect” surface which is super soft and uses Velcro technology so you can attach anything you want to your tray! You don’t have to worry about dropping your mp3 player or phone, as by adding a small piece of velcro, they will stay firmly attached to the tray top surface. For an extra splash of colour and style you can also opt for a coloured trim to your Trabasack Curve Connect and finally own a smart and practical wheelchair backpack. There is absolutely no reason why there shouldn’t be a fashionable and functional alternative to the standard bulky wheelchair backpacks and we believe Trabasack is it. 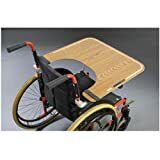 The Trabasack is user designed award winning wheelchair accessory. Today I have read a few posts from others as part of Blogging Against Disablism Day. It has made me reflect about some of the challenges to do with access, I have faced in our small village. I do not have a disability but since getting married to a wheelchair user and having a child with Dravet Syndrome I have seen some shocking things! When my wife became pregnant we moved to Quorn in the East Midlands. I was very happy to move and generally it was a much safer and more pleasant place to live than my home town of Gt. Yarmouth. One thing that did surprise me was the inaccessibility of the local shops. 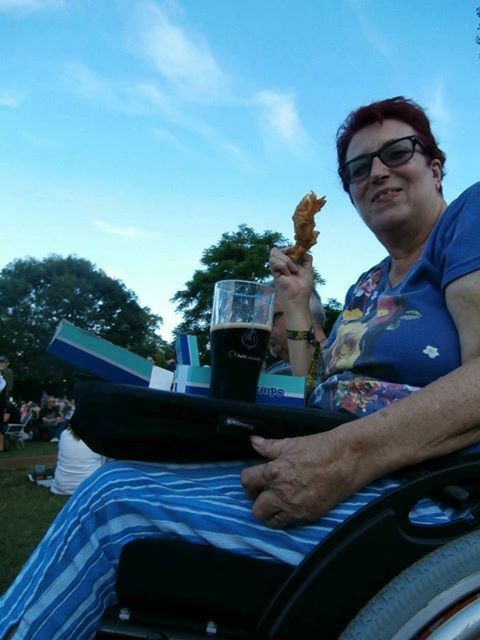 My wife, Clare, is a wheelchair user because of a spinal injury. Most of the shops had heavy doors and steps, so she could not get into them on her own. I was a frequent letter writer in those days! I dashed off a letter to the local Chemist, quoting the Disability Discrimination Act and complaining that due to the steps, my wife was is a wheelchair user, anyone with mobility problems or parents with pushchairs really struggled to get in. The absurdity was, that they were the people who had to use the chemist shop the most! My letter coincided with plans for a refit and they had a ramp and an automatic door fitted. I was pleased about this and confident that the others would now follow. I started to ask at the Post Office and the local Deli when they would get their ramp. However other circumstances in my life, became much more urgent. My newly born son developed Dravet Syndrome and I had much bigger worries. My son’s epilepsy and and the ketogenic diet became my full time occupation. I still wrote a few letters to the local hospital over carparking charges, lack of disabled spaces, and access to new drugs, and complaints over my son’s treatment in hospital. Access to the local shops became much further down our list of worries. Seven years on since my letter to the Chemist, the Post Office and Deli next door still do not have access. I frequently ask them when they are getting a ramp. I get excuses, they go quiet and often blame the parish council! Maybe if I had written to them at the same time something would have been done. We have also experienced discrimination at a local Chinese Restaurant. It was early on a Tuesday night. We were shown to a table away from the other guests. My wife found she could not get her legs under the table to get near enough to eat comfortably. The table was too low. As wheelchair users will know this is a very common problem! We asked to move to a taller table further inside the restaurant. They flatly refused saying that all the other tables were booked, they also refused to swap any around. We got the message! They didn’t want our custom and have lost eight years of regular trade because of it. Of course this was before Clare had created the Trabasack. I find that I am the one who gets angry over these things, my wife sees the injustice but would rather save her strength for getting on with daily life. The point I am trying to make is that people with disabilities face so many instances of discrimination that they get tired of fighting and have to choose their battles carefully. My wife would rather forget that she is disabled and get on with life rather than let it consume her time. I wish that people had more awareness and consideration so that she didn’t have to make that choice. For every one person that does there are many that cannot. To those who do have the strength to shout out about discrimination I applaud and will support you all I can. We were very please to hear that Trabasack has been featured as the ‘product of the month’ by Brighton and Hove Council’s Daily Living Centre. They were impressed by the Trabasack as a versatile wheelchair tray or buggy tray. The Council’s daily living centre offers expert, impartial advice about all sorts of equipment that can help people who have physical problems or disabilities. It is one of many across the country which can be visited to try out new equipment. We just hope it gets picked up and used in a local newspaper now!